What Is Clustered Website Hosting? 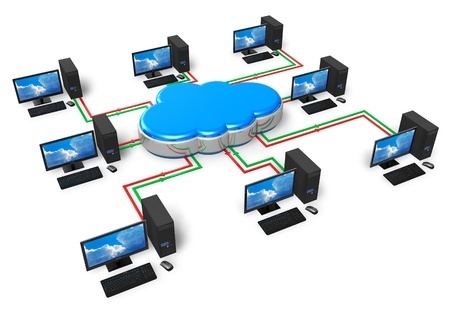 TruCloud Hosting is built with redundancy and scalability in mind. Your website is the lifeblood to your business, whether it be for e-commerce sales, marketing, generating leads, or providing essential information. Slow page loads, unresponsive requests, or downtime is unacceptable. TruCloud Clustered webhosting is designed to keep your high-traffic website up and responding to the demands of your users – all the time. The TruCloud clusters contain a load balanced set of web servers to direct your website traffic to a server that is ready to serve up your content without any programming or configuration required by you. TruCloud Hosting can be coupled with MySQL or Microsoft SQL server databases included with your TruCloud hosting service. Sign up, add your domain, and choose your features—and your site will be ready for you to start coding within 5 minutes. Cloud Sites runs on a purpose-built environment that's custom-configured to support peak performance for high-traffic websites. We have plans available for one website, or thousands! From the Control Panel, you can easily renew a domain name, add a new domain, and set up custom DNS records. Build in any development environment you want. You can even run multiple platforms on the same domain. Use the Cloud Control Panel to quickly add MySQL or SQL Server databases to your website.